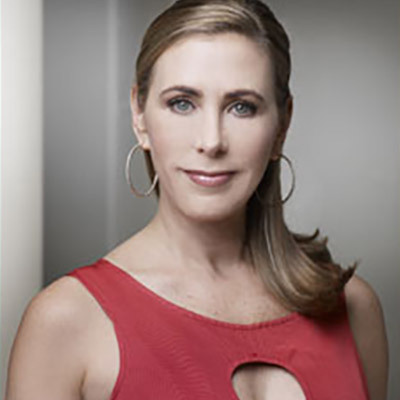 JANELLE FRIEDMAN is Chief Operating Officer and Chief Financial Officer of Friedman & Feiger LLP, Attorneys At Law, an award-winning, Dallas-based law firm. Specifically, Janelle manages the day-to-day business operations and finances and gives direction and leadership towards the achievement of the law firm’s philosophy, mission, strategy, goals and objectives. Janelle also supervises the administrative staff and the employees of the firm. She is also responsible for all business aspects of the firm — from marketing and new business development to personnel, operations, revenue and finances. She has held this position since 1986 and is a certified paralegal as well. Janelle is the 2010 winner of the prestigious “Women That Soar Brilliantly You Award” which honors women throughout the State of Texas who have faced personal and professional obstacles yet soared to success. She has also been named the 2010 Wednesday’s Child Luncheon Chairwoman Celebrating Blind Side’s Lee Anne Tuohy. The Dallas Business Journal has honored her with the 2010 Woman To Watch award. In 2011, Janelle is Co-Chairwoman of the Jewish Federation of Greater Dallas’ 100th Anniversary Celebration. Janelle is founder of Essential Energy, a professional group comprised of over a hundred women business leaders. Essential Energy’s mission statement is to share wisdom between successful women through personal friendships and business networking with a spirit of fellowship, enthusiasm, harmony and devotion to the power (essential energy) of our group to unite in pursuit of our common purpose. Janelle is a member of the Association of Legal Administrators and the Dallas Legal Assistants Association. She has also served as the Coordinator for the Campaign of Dallas Republican County Chairman and heads up Friedman & Feiger’s fundraising efforts for many local political candidates. NFL Pro Football Hall of Famer Michael Irvin recently bestowed the Playmaker Community Service Award on Janelle for giving back to a long list of charitable causes. Along with her husband, she co-founded the F&F Foundation, a 501 c3 charitable organization which raises money to support the education, health and welfare of underprivileged children. Among other things, each year, Friedman & Feiger celebrates the holidays by hosting a huge holiday party for children who have special needs or children with no parents or families. The firm purchases new school clothing, pajamas, underwear, outerwear, coats, blankets, school supplies and toys for these children. Deserving children from the Salvation Army’s Gene and Jerry Jones Center benefited one year with NFL Hall of Famer Michael Irvin showing up as Santa Claus. Over 200 foster children from Wednesday’s Child have also benefited from the F&F Foundation among others. She also commits her time, talent and monetary donations to the Muscular Dystrophy Association, the Kidney Foundation, the Cystic Fibrosis Foundation, Pat and Emmitt Smith Charities, Women That Soar, the Dallas Jewish Federation, the Dallas Jewish Community Center, Paws Cause, the Fur Ball, the Epilepsy Research Foundation and Playmaker Charities among many others. She has served on the Boards of the Dallas Opera and the Jewish Community Center. She has also chaired many community events and fundraisers over the years for worthwhile organizations such as the Jewish Community Center, Congregation Anshai Torah and the Jewish Federation among others. A native of Dallas, Janelle attended Hillcrest High School and graduated from the University of Texas in Austin. Today, Janelle lives in Dallas with her husband, Larry, six children, one son-in-law and her granddaughter, Ava.